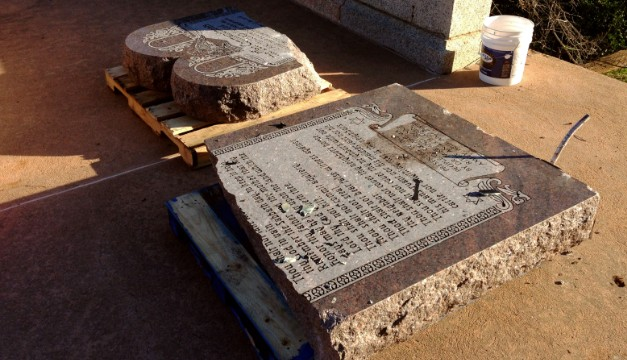 According to eyewitness reports, the man drove his car across the Capitol lawn and deliberately crashed into the 6 foot tall monument knocking it over and causing it to break into pieces. He then got out of his car and proceeded to the Federal Building where he made threats against President Obama's life. The man who has been identified as Edwin J. Moses, claimed that the Devil made him do it. He also claimed that he is mentally ill and had stopped taking his medication. He has been placed in a mental health secure ward for evaluation until it s decided whether he will face trial for reckless driving, vandalism, threats on a serving president and blasphemy. Moses could face up to 10 years in prison and eternal damnation if found guilty. 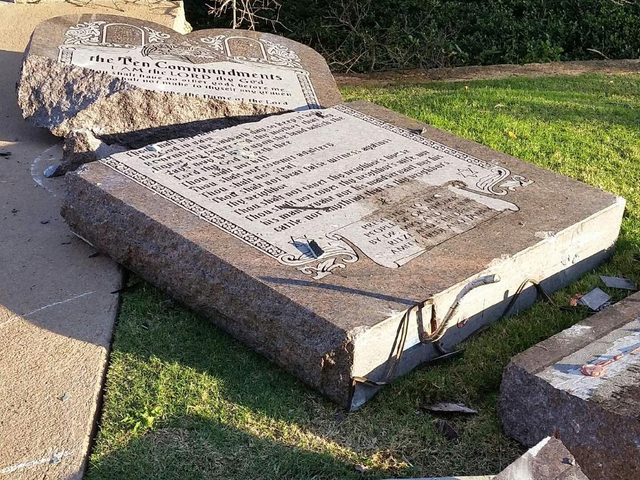 The ACLU and the Satanic Temple of Oklahoma have both condemned the actions of Moses stating that vandalism is not the way to achieve their goal of religious equality and freedom across all faiths, including Satanism. If there were no consequences, which of the 10 commandments would you break and why? Which ones have you broken already?